This UV Purple Laser Pen comes with a removeable kaleidoscopic lens enabling you to make patterns on walls or long distance objects, or use it without the kaleidoscopic lens as a traditional laser pointer, ideal for powerpoint presentations or demonstrations. 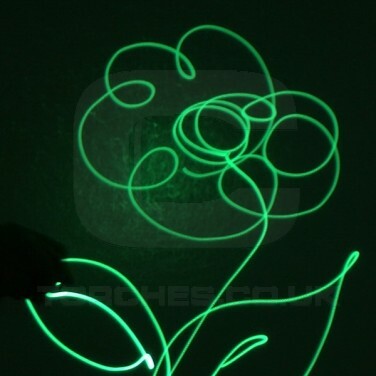 This UV Purple Laser Pen is ideal for getting glow in the dark products really glowing. 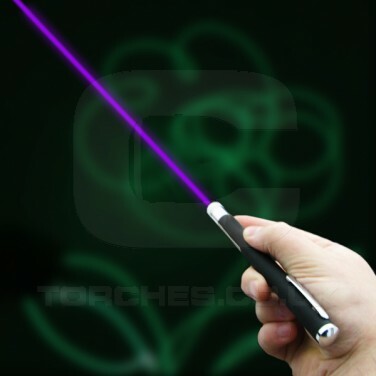 It produces a single purple laser dot that is also ideal for powerpoint presentations or demonstrations.